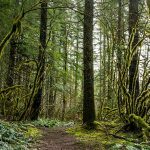 The Fort Cascades trail is a short one-and-a-half mile loop along flat ground bordering the Columbia River. The trail includes several sites marking important historic events during early settlement of this area, when it was known as the Lower Cascades. Portions of the old portage railroad, a Chinook Indian village, and the site of one of the three military forts near the Cascade Rapids are seen on this interpretive trail. 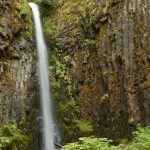 The Fort Cascades Trail area was a focal point for commerce beginning with the American Indians and continuing through explorers, fur traders, settlers, railroad workers and fishermen. A guide brochure offers hikers a “hands-on” historical experience. The Fort Cascades Trail Guide is available at the Bonneville Dam Visitor Center and the Skamania County Chamber of Commerce in Stevenson. Travel 7 miles west on Highway 14 towards Bonneville Dam and North Bonneville. 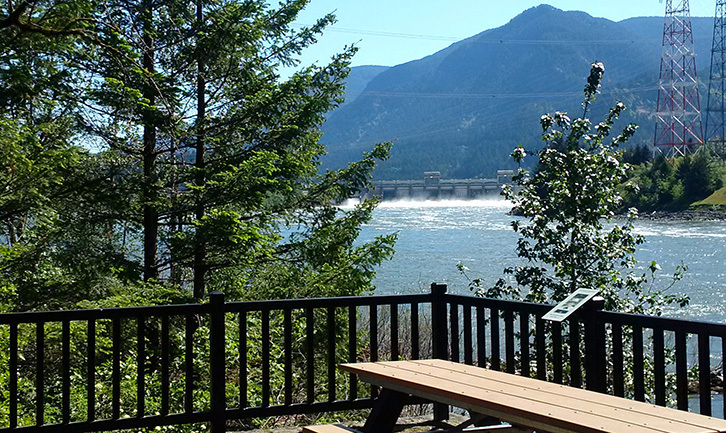 Just west of Bonneville Dam, turn left on Dam Access Road and follow the road west to the trailhead.